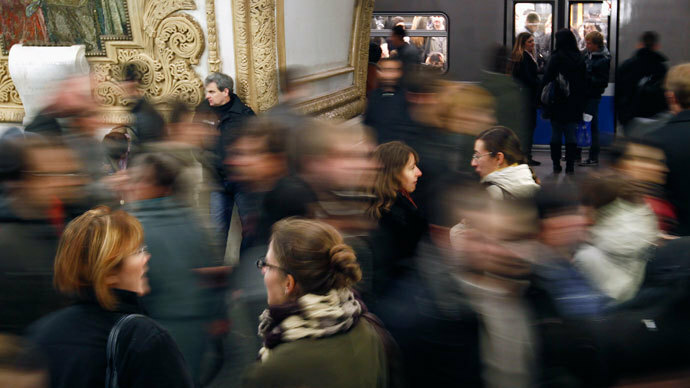 The Moscow metro plans to install sensors that will trace passengers by tracking the SIM cards in their mobile phones. The measure is aimed at helping police retrieve stolen gadgets, but rights activists have sounded the privacy alarm over the initiative. Police operations chief of the Moscow metro, Andrey Mokhov, told Izvestia newspaper that the sensors will become part of the subway’s intelligent security system. According to Mokhov, the action radius of each reading device is five meters. For the system to be successful, he said the devices would have to be installed into every CCTV camera inside stations, lobbies, and metro cars. The passenger’s phone number will be automatically determined as he passes near the sensor. If the SIM card is on the ‘missing’ list, the system will automatically inform police and create a map of the phone’s movement. The system will work regardless of whether the phone is on or off. The only important thing is the presence of a SIM card. “If the passenger’s phone is stolen, he can address the police and the duty officer will input its number into the system, which will reveal the station where the SIM card was detected,” Mokhov explained. Meanwhile, rights activists both inside and outside of Russia have already come forward to slam the initiative, saying that it harshly violates people's privacy. The plan to implement the system is also a violation of Russian law, director of the Public Verdict human rights foundation, Natalia Taubina, said. “Several people can pass through the sensor and camera action radius. The question is how the police will choose the suspect then. Checking everybody – it’s simply illegal,” she said. However, the Interior Ministry believes the system will be implicated without any legal complications. Using such a legal loophole to justify the tracking of a person from a SIM card is “nonsensical and unjustifiable,” Eric King of Privacy International told Ars Technica. “Many surveillance technologies are created and deployed with legitimate aims in mind, however the deploying of IMSI (International Mobile Subscriber Identity) catchers sniffing mobile phones en masse is neither proportionate nor necessary for the stated aims of identifying stolen phones,” King said. Meanwhile, Keir Giles of the Conflict Studies Research Centre - an Oxford-based Russian think tank - called the reasoning "weaselly and ridiculous," Ars Technica reported. VimpelCom company, which owns Beeline - one of Russia’s leading mobile phone operators - said they have so far not been approached by police. “If [the] offer comes, we are ready to consider it. I don’t know if such [a] practice exists anywhere else in world,” Beeline spokesperson Anna Abasheva said. Mobile phone theft is the most frequent crime to take place on the Moscow metro. However, executive director of the Security Industry Association, Aleksandr Ivanchenko, says the sensor system does not appear to be the most efficient way to tackle the problem. Attorney Georgy Ter-Akopov said that the thieves usually dispose of the SIM card after they get hold of the phone. After that, the phone can still be traced by its own International Mobile Station Equipment Identy (IMEI) number. However, he stressed that the mobile device is the property of the passenger – not the phone company. 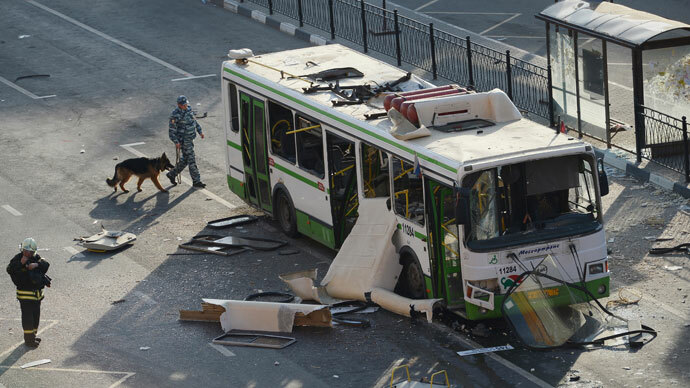 Retired police colonel Evgeny Chernousov suggested that the sensors have another aim – to identify terrorists on the metro. 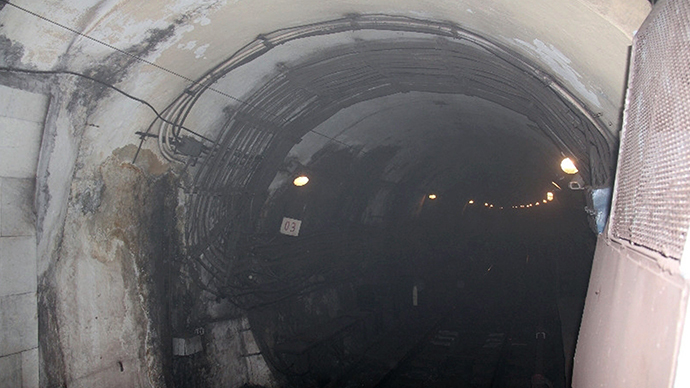 Since the early 2000s, there have been three terrorist attacks on the Moscow metro. The attacks resulted in 90 deaths and over 200 injuries. “The events of recent years have shown that the existing hardware isn’t always enough to search for terrorists. The ability to quickly track down criminals on the phone can help prevent a terrorist attack on the subway,” Chernousov said.